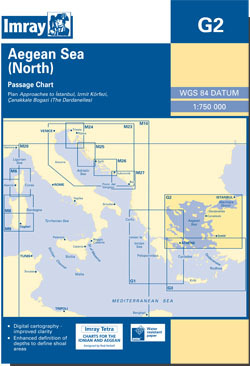 Passage chart of the northern part of the Aegean sea, from the latitude of Tinos and Samos up to Istanbul. Scale: 1 : 165.000. Larger scale plan of the Canakkale Bogazi (the Dardanelles). This 2013 edition has been fully modernised and updated throughout.